The Fellowship was fortunate enough to obtain a copy of G.I. 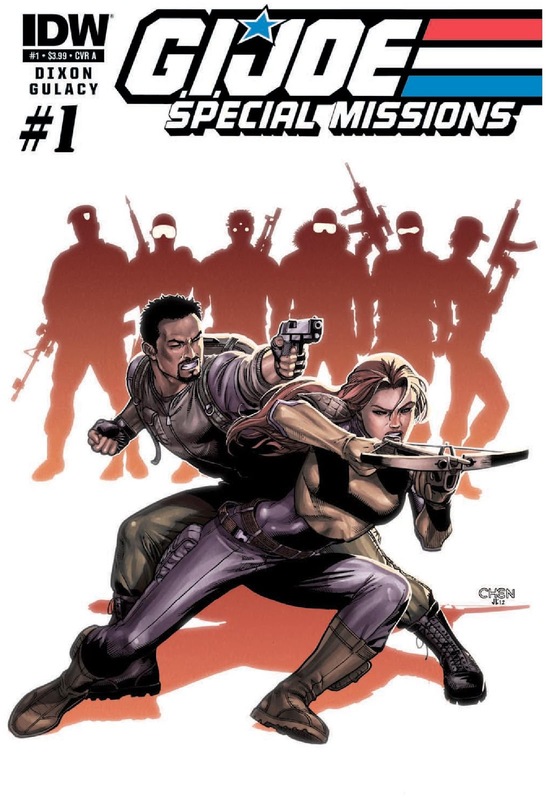 JOE: SPECIAL MISSIONS #1 from IDW Publishing. The story is written by Chuck Dixon with art by Paul Gulacy, colors by Aburton and Grafikslava, and lettering by Shawn Lee. While Mainframe and Dial-Tone investigate the bad intell they received and work on a new program to find out about COBRA’s actions, Scarlett leads a team and heads off the the North Atantic to find the COBRA ship that lies on the ocean floor. Meanwhile, the Baroness has a similar plan and is trying to get there as well…on her own. Who will get there first? Does the Baroness know that Cobra Commander wants her dead? I’ve enjoyed Paul Gulacy’s work since BATMAN: LEGENDS OF THE DARK KNIGHT and STAR WARS: CRIMSON EMPIRE. His art is just as good now as it was then. Chuck Dixon is a longtime JOE veteran and knows these characters well. I’ve enjoyed his work since HIS Batman days as well. As I have stated before, I’ve never really read the JOES books until recently, so some of the story elements I don’t get, but this is still a cool book to check out. G.I. JOE: SPECIAL MISSIONS #1 is in stores now or available at www.idwpublishing.com.